Wavespot is the loyalty and marketing service for small and medium businesses. 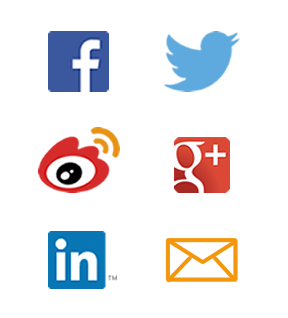 Customers access free Wifi & specials by logging in with social profiles like Facebook, Twitter, Linkedin, or simply with optional logins like an email address. Use these social networks to bring in repeat customers. Wavespot integrates the login experience into customized splash pages that maintains a business’s unique branding. We understand that every venue is different, our customized consumer facing service ensures that Wavespot remains unique to each business. Wavespot doesn’t require customers to download apps or a carry a keychain. Loyalty should be simpler than that. Customers can now connect with brick and mortar stores over any WiFi capable device. Wavespot’s adaptive sign on process for first time and repeat customers provides a seamless experience. WiFi is the perfect entry mechanism to connect with any on premise client. Wavespot service goes beyond accessing free internet, it helps businesses increase social media presence and relate with their customers. Getting more “likes” or follows” for your business, is the first step towards opening a whole other way to reach customers. Our intelligent loyalty service adapts to repeat users and recognizes various levels of customer engagement. How a business interacts with repeat visitors, brand champions and unengaged clients matters. Let us help build the one on one customer loyalty your business deserves. Build loyalty by opting WiFi users into your rewards program. Wavespot makes it easy for customers to connect with loyalty programs with ongoing newsletters, social offers and drip campaigns. Wavespot automates this entire process so owners don’t have to worry. Marketing kits in tandem with the Wavespot’s service transforms on-premise patrons into your best spokespersons. Engaged customers recommend customized brand messages and offers in Social Network of thousands of friends, automagically bring you new clients while reinforcing existing relationships.